Talk about a cosmic caffeine jolt. The International Space Station is getting a real Italian espresso machine. 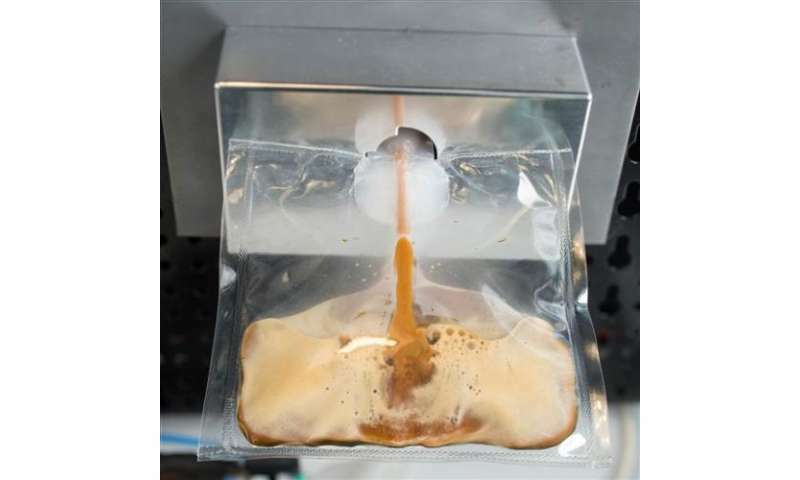 Astronauts of all nationalities—but especially the Italians—have long grumbled about the tepid instant coffee served in pouches and drunk with straws 260 miles (418.41 kilometers) above Earth. The pouches and straws aren't going away, but at least the brew will pack some zero-gravity punch. The specially-designed-for-space espresso machine is dubbed ISSpresso—ISS for International Space Station. Its launch early next year from Wallops Island, Virginia, is timed to coincide with the six-month mission of Italy's first female astronaut, Samantha Cristoforetti. The 37-year-old fighter pilot and Italian Air Force captain will fly to the space station in November aboard a Russian capsule. She'll be the first out-of-this-world barista. "How cool is that?" she said in a tweet earlier this month. "I'll get to operate the first space espresso machine!" 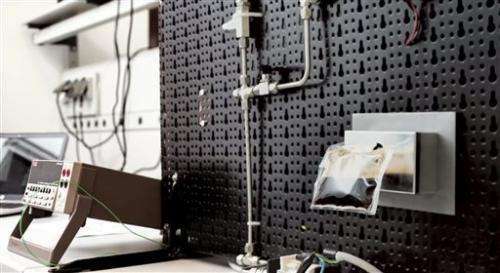 Italy's century-old coffee maestro Lavazza teamed up with a Turin-based engineering company, Argotec, and the Italian Space Agency to improve coffee conditions aboard the orbiting outpost. Besides espresso, ISSpresso is capable of whipping up tea and consommé. What more could an astronaut want? Argotec already was working on a space espresso machine. Orbital Sciences Corp. of Virginia will make the delivery on its Cygnus cargo ship; the launch is targeted for January. NASA's coffee-loving astronaut Donald Pettit actually offered some ideas for ISSpresso during its design phase. He's a two-time space station resident who invented and even patented a zero-gravity cup for sipping his orbital joe versus sucking it with a straw. No question, an espresso machine will be "a welcome addition" to space station life, Pettit said Wednesday from Johnson Space Center in Houston. The pre-measured bags of freeze-dried coffee served in orbit taste good—when you're up there on the frontier, he said. On Earth, any coffee lover would go "Yeeck." Argotec spokesman Antonio Pilello has sampled the ISSpresso espresso and gives it a thumbs-up. 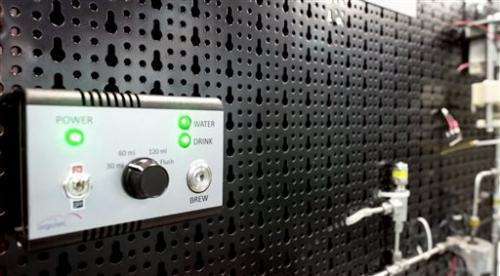 The space machine is designed to operate at the same temperature and pressure as Earthly espresso makers, according to the company, to guarantee taste and flavor. "You know, coffee is very important for Italian people. We are really hard to please about it!" Pilello wrote in an email. Certified for safety and approved by NASA, ISSpresso initially will fly with 20 coffee capsules. Extra packets will follow for the six-member crew, if the trial run goes well. The 44-pound machine—a compact 14 inches by 17 inches—will be housed in the U.S. laboratory, Destiny. It resembles a microwave oven, with all the action occurring inside. Engineers replaced the typical plastic tubing in an espresso machine with steel for robustness. They also used buttons and switches similar to those already on the space station, so the astronauts would be familiar with the design. Astronaut Pettit points out that the lack of gravity will prevent the bubbly foam from rising to the top. 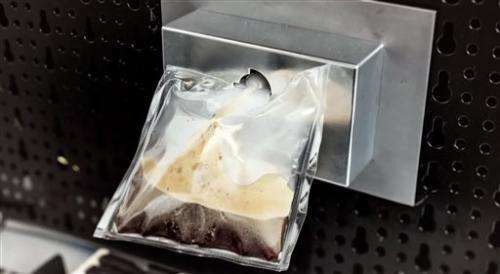 Yet even if the space espresso falls short by connoisseur standards, "it would be the best coffee that we've ever had in space."